At the beginning of the Disney World travel plan, the question that pushes everyone’s head is the best time to go to Disney World. Actually the “best time” topic depends entirely on you. Many people do not like crowd, in that case, off-peak time is the best time for him. On the other hand, if you want to some festivals like Christmas then December is the right time for you. The budget is also important during the selection the best time for Disney World tour. If your budget is limited then first decide how to plan Disney World on a budget. Then the period would be less cost that is to take as the best for you. 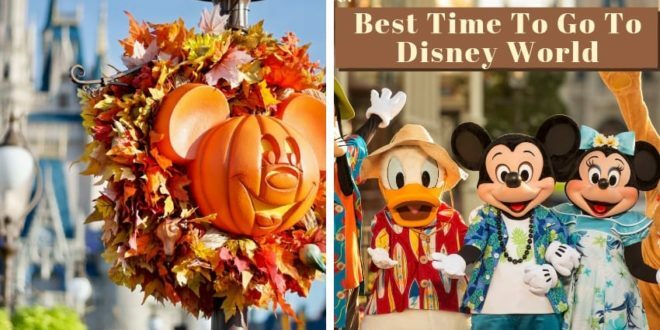 There are some specialties for Disney World travel every month of the year. Let’s see how wonderful this park is in a month. When you go to Disney World, it is very important to know about the weather here. It will help to decide what to bring to Disney World parks with you. Usually, the weather in Florida is hot but it can vary throughout the year. So, before planning to visit here you should keep clear knowledge about it. During January to march the humidity are very low. It starts rising in April/May. From June to September the weather becomes very hot and the humidity is also very high. This high temperature starts to fall somewhat from October. And from December comes to a tolerable level. Be concern about the month from September to October because it is a high time of the hurricane. After passing, Christmas and New Year Disney World become very quiet and empty. That’s why January is a month that can be called off-peak season for the park tour. Many people describe this month as the “Holiday Hangout” at Disney World and it perfectly goes with the situation. If you want to stay away from the crowd then it may be a suitable time for you. You may enjoy some leftover decoration of Christmas and New Year festival also. As every January Park arrange Disney World Marathon weekend, you may be a part of it also. According to weather, February is a little bit better than January. Within the middle of the month, the park is again crowded because many schools of Northeast take a February Break for a week. However, some experience people say that February is the best time to go to Disney World in terms of seasonal events. But good for enjoy the park at its won look without decoration. March is the month when Florida stay at its best weather. The crowd also start gathering. This month is femurs for Epcot’s Flower and Garden festival. The festival is just like the Food and Wine festival full of fruity cocktails. Schools are usually not announcing spring holiday in March. But still, from the beginning of March, the crowds grew and stayed in the entire month. The crowd becomes above average for the cool weather of Florida and early Spring Breaks. I think the best time to go to Disney World for me is from late February to early March in terms of the weather. It is the time of Easter vacation and during this vacation, the Disney World become full with school and college kids as well as families. Sometimes it seems the crowd is blasted out here. Since Florida began to grow warmer in April, there are many institutions in this period to break the spring and this is the main reason I think for this crowd. However, if you plan to travel to Disney World in April then the Magic Kingdom is waiting for you. Here you will meet with Easter Bunny and see Easter Parade featured with your favorite Disney characters like ducks, rabbit, bunnies, and chickens on Easter Sunday. Are you wanted to get the opportunity to dress as like your favorite character? Then April is the best time to go to Disney World for you. Yes, the annual 24 Hour event normally takes place in April and you can attend the event to see how long you can stay at the Magic Kingdom. The weather of Florida is getting a little bit warmer but it does not like unbearable. And the crowd also stays at below average. The weather of Florida in June becomes quite hot. Maybe, for this reason, the crowd becomes thin also. Most of the tourists choose early morning and afternoon as a visiting hour. June is the month of rain. The monthly average rainfall this time at Florida is more than 8+ inch and the probability of the rainfall is above fifty percent every day. So, if you have plan your vacation in June for the park then don’t forget to take your rain protection. Florida celebrates the independent day on 4th July. If you have not had any reason for Disney World travel in July, then you can use Independent Day as a reason. Trust me, the Fireworks in the Magic Kingdom of Disney World is really incredible. A big part of the crowd gathers only for enjoying this Firework. After opening the park, the immediate action is Folks camp is placed in front of Cinderella Castle just only for getting a nice view. But still, July is not a comfortable time for a trip to Disney World as it is very hot and humid. August is the hottest month at Disney World. As the weather is too hot and humid, the tourists’ crowd came from heavy to medium. The Orlando sun spreads heat like fire. You will feel melted at every second under the sun. To save money, if you do not want to go to Peak Season to the Park, try this time. If you can tolerate the sun, stormy weather, you will enjoy the Country Bear Jamboree. Though the crowd is thin, in terms of whether I think the journey towards Disney World in August should be prohibited. Otherwise, you may have to face the worst experience. September is quite better than in August. Though the weather is still hot crowd is much thinner than before months. Some attractive event is the main attraction in September. The Food and Wine Festival at Epcot start this time. And you should not miss it. If you are not a scary person then do not forget to join the Mickey’s Not-So-Scary Halloween Party that begins in the middle of September. This party can make your night unforgettable. Believe me, you and your family will enjoy the night most. This month is also a very rainy month. This time there is a need to keep preparations to survive the rain. October is much better than September. I think October is the best month for taking a trip to the Disney World in terms of crowd. The gathering becomes light to low-medium and the weather is simply awesome. No, after lunch nap is necessary during this time. You do not need to bulky your baggage. This will only be done to bring sunglasses. Mickey’s Not-So-Scary Halloween Party and Food and Wine are still alive in October. 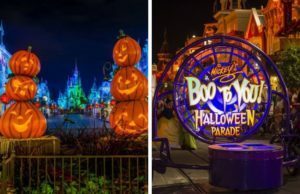 Mickey’s Not-So-Scary Halloween Party is the most attractive party at Disney World and you are allowed to attend the party whatever your age is with any costume. You will enjoy a number of rides, meet with rear characters and can also see the Sanderson sisters from “Hocus Pocus.” If you have no problem with the time then I will advise you for October. The Thanksgiving Day and Jersey Week is the main attraction of November at Disney World. At the beginning of the month, the gathering is pretty thin and the weather in Florida is very mild. Most of the rides of the park are activate during this month and you may have to stand on a queue for more than half an hour. But don’t be a surprise; after all, it is Disney World! The Toy Story Mania and Flights of Wonder may be overloaded sometime I hope you can manage it. Overall this month is good for a trip to Disney World on the basis of weather, crowd, and events. This is the month when Disney World decorated the most I think. The major two events make December more gorgeous are Christmas and New Year’s Eve. The crowd is staying light at early of the month and increase day after day. More and more tourist is coming but less of them take leave. Within the 3rd week of the month, the park is full with the crowd. This crowd blasts out at Christmas and New Year’s Eve that the park ever gets the year round. If you are planning to have a trip in December then doesn’t forget to take the stroller for your kids. Because it can be difficult to manage your kids in a crowd without it. There are some best strollers for Disney World available on the market. You have to just pick yours. The Christmas decoration of the park is simply awesome and the festive look is beyond compare. 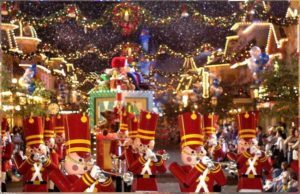 The biggest highlight of the park is entertainment during Christmas. If there is no problem with a budget then would like you to suggest December for your dream vacation. Disney World arranges many events throughout the year to entertain their guests. If you are planning to visit Disney World at this year then here is some upcoming special event’s schedule of a park. It will help you to make your tour plan. Let’s see. • Walt Disney World Marathon Weekend will be held on January 9 to 13, 2019. The crowd will be very high during this Marathon Week due to thousand and thousand of runner will take part in this race. • Epcot International Festival of the Arts will be held from January 18 to February 25, 2019. This festival is one of the popular and favorite events of Disney lover. • Disney Princess Half Marathon Weekend will be held on February 21 to 24, 2019. Keeping women in mind, this event is specially designed. Weekend events include the Disney’s Fit for a Princess Expo, Disney Enchanted 10K, Disney Royal Family 5K along with the headlining event. • Epcot International Flower & Garden Festival will be held from March 6 to June 3, 2019. It is an annual event of each spring at Epcot. • Star Wars Rival Run Half Marathon Weekend will be held on April 4 to 7, 2019. This event includes the runDisney Kids Races, Star Wars Dark Side Challenge, Star War 5K, Star Wars 10K along with half marathon. • Mickey’s Not-So-Scary Halloween Party of Magic Kingdom is a very famous and popular party of Disney World. The expected schedules are nights in August, September, and October but the specific dates are not announced yet. • Epcot International Food & Wine Festival will be held in August through November 2019. But the specific dates are not announced yet. It is a festival of food and drink. If you are a food lover then start your planning for Disney World trip aiming this event. • Disney Wine & Dine Half Marathon Weekend will be held from October 31 to November 2019. It is a combined event of the magic of a runDisney race and the festivities of the Food & Wine Festival. • Mickey’s Very Merry Christmas Party. This event is held at the Magic Kingdom. The selected nights are in November and December. It is a favorite event of most of the guest of Disney World. According to the previous discussion, from January to early February is the cheapest time to visit Disney World round the year. After passing the heavy festive time of December the park becomes very quiet. As the holiday season is over the crowd during the first month of the year is below the minimum level. Because the number of visitors is very few the price of park ticket and the rent of hotel room become very low. The differences in price between pick and off pick season are quite impressive. It may $80 to $100 or more than that. As school vacation started, the park becomes busy again within the 3rd week of February. So you plan to make the trip under budget then pick the time from January to early February. The Disney World comes to its best look on the Christmas. The park passes the busiest time at Christmas and New Year. It comes to its fully festive mood and become the most expensive also. If you want to attend these expended events you should make a pre-booking on the hotel as they are being overloaded also. As we discussed before, another busy time of Disney World is the Easter vacation in the early spring. The cost is increased by $70 to $80 on average. Similarly, Thanksgiving is also an expensive time in terms of the event as the park becomes very busy with various festive. 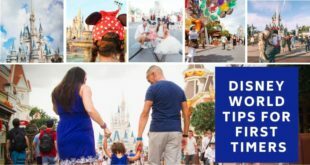 So, dear tour lover here is the entire scenario of choosing the best time to go to Disney World. Here we discuss four terms for choosing the best time. You just have to select one among the terms of weather, event, crowd, and money. Then choose the time period from your best. Wish you a very happy and enjoyable vacation. Good Luck!